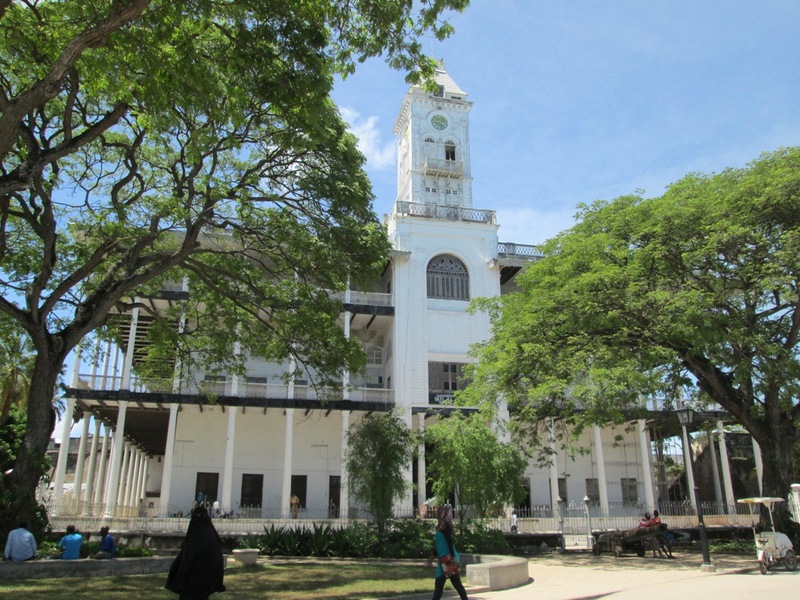 At present there are 26 landmark buildings in Stone Town, rated as Grade I buildings. A Grade I building is a building with outstanding architectural, historical or cultural significance. The Old Fort’s foundation was laid by the Portuguese in early 1710s but the building was finalized in a Omani style in 1780. Was later used both as a prison by the British officials until 1950, and also as a railway workshop in the 1920s when the railway from Bububu to town was built. 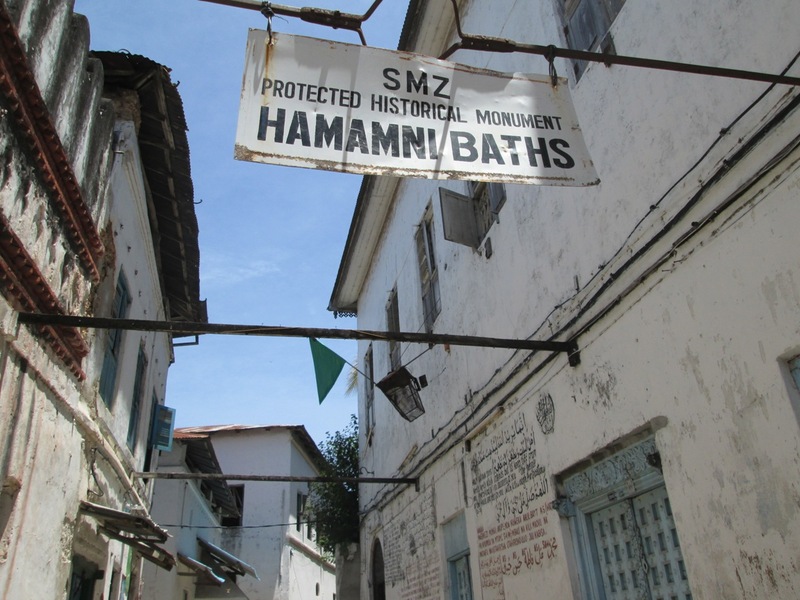 Now it is used as a cultural centre of Stone Town. Built in 1883 by Sultan Sayyid Bargash for ceremonial purposes, but has also served as residence for one of his successors. 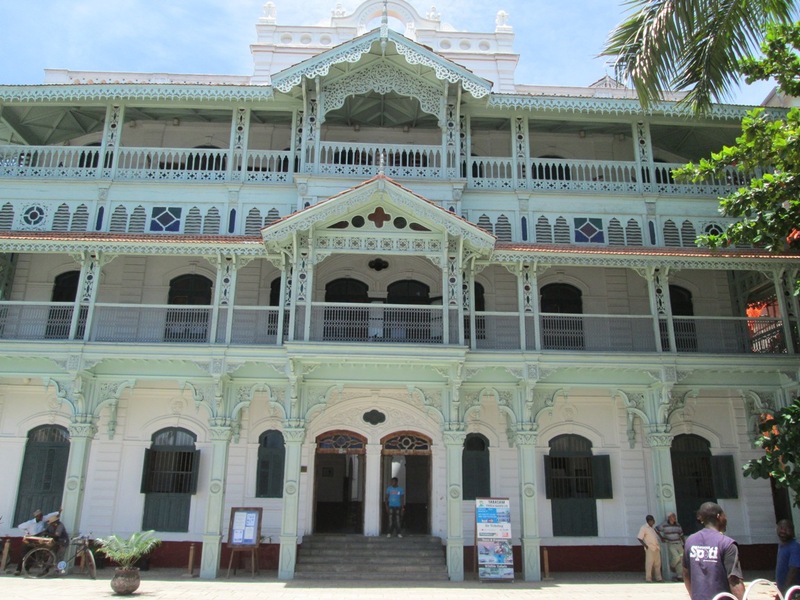 After the revolution the building was used by the ruling party and in 2001 became the Museum of Zanzibar. In October 2012, the House of Wonders experienced a collapse in its southeastern corner. It has yet to be repaired. The bath was built for the public by Sultan Seyyid Barghash (1870-88) and designed by an architect from Persia. 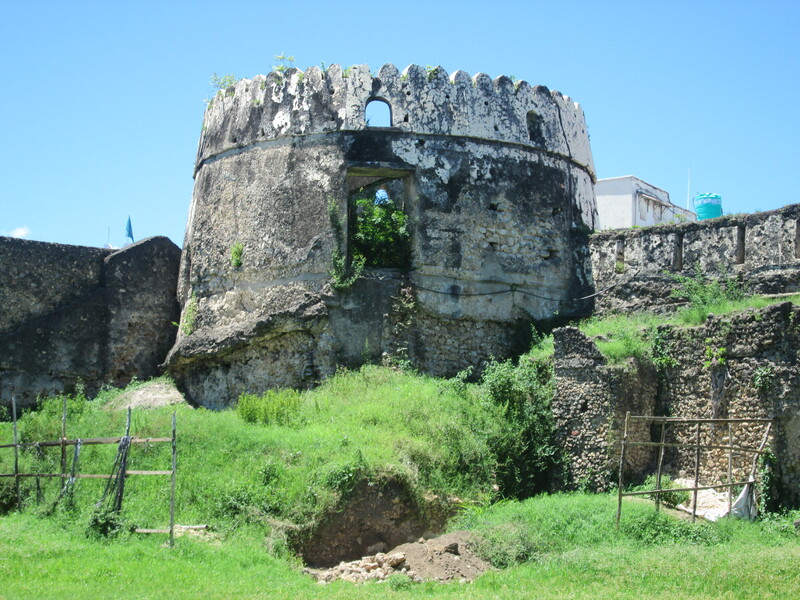 Since the first Sultan Sayyid Said settled in Zanzibar 1832 the location for the palace has been along the seafront. The palace has had many shapes and gone through many alterations by the various reigns. In the aftermath of the bombardment in 1896 both the harem (Beit al-Hukm) and the palace (Beit al-Sahil) were badly damaged. Only the palace was rebuilt, and in a much smaller scale. In spite of its smaller size, architectural greatness is still visible in today’s People’s Palace. There are several Royal Tombs scattered about the Forodhani neighbourhood. The custom in old times was to have the burial sites close the homes. The Sultan’s family is mainly buried in the vicinity of the palace. A small Persian bath for the Sultan’s family was built inside one of the palaces (Beit al-Tahin) – today Forodhani School. Its original name was ‘Sayyidieh Market’, inaugurated in 1904 and designed by the British architect Sinclair. It was built on the first reclaimed land along what is now known as Creek Road, still having the creek at its back. 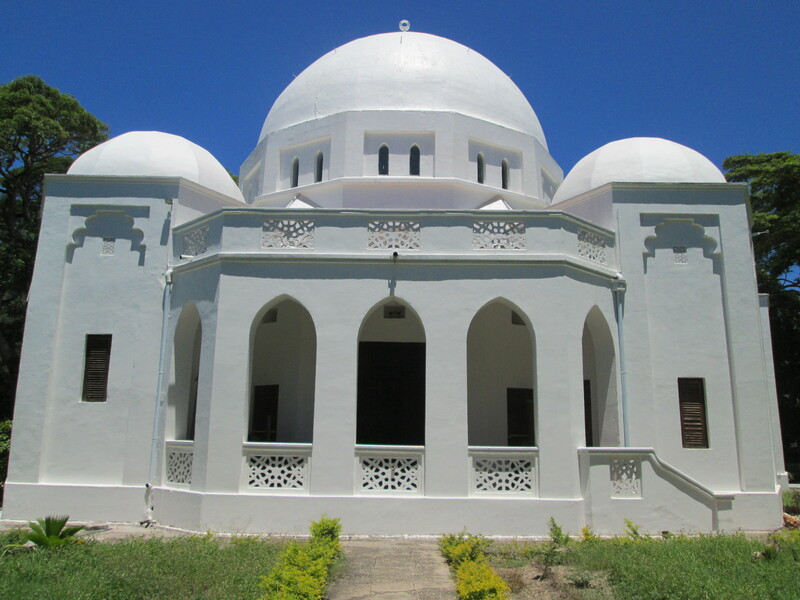 The present mosque of the Ismaili community is from 1905, even though the first construction was done already in 1838. The building is well maintained and has typical Gujarati style entrance door. The building of today Municipal Council was built in 1923 on reclaimed land, by an Indian merchant who traded in tea. The building was also used by the British for the senior Government officials. The origin of the building is unknown but its purpose was to serve as warehouse on the ground floor with lodging facilities on the first floor. It is still used for commercial purposes after its renovation in the mid 1990’s. The Mambo Msiige is a building with a colourful past. It was built around 1850 by a wealthy Arab resident and the name means ‘do not imitate’ – giving a hint of its stunning design and architecture. The building was later used both as residence for British representatives, as the Universities Mission in Central Africa, as a European hospital and is today a Government office. The Tippu Tip house was built by the renowned slave trader with the same name. It is not a traditional Arab house but still reflects the characteristic styles of other houses built in the late 19th century. This building is in an unfortunate state of disrepair. The High Court Building belongs to the group of buildings designed by the British architect Sinclair in the style defined as ‘Saracenism’. Beit el-Amani, as it was originally named, was built as a monument of the First World War. Again it’s the architect Sinclair who is behind the design with clear inspirations from the Aya Sophia Mosque in Istanbul. The building was completed in 1925. This building from 1899, with its very Indian influenced architecture was built as a charity dispensary by the Indian merchant Tharia Topan. It was named the Jubilee Hospital to honour Queen Victoria at her golden jubilee. The building was fully renovated in the mid-1990’s, but is still most known as the ‘Old Dispensary’. The oldest mosque in Stone Town, probably built in 1831. Most mosques in Stone Town are built without minarets, making this an exceptional example. The use of conical minarets, like the one at Bamnara mosque, can be found in southern Algeria. 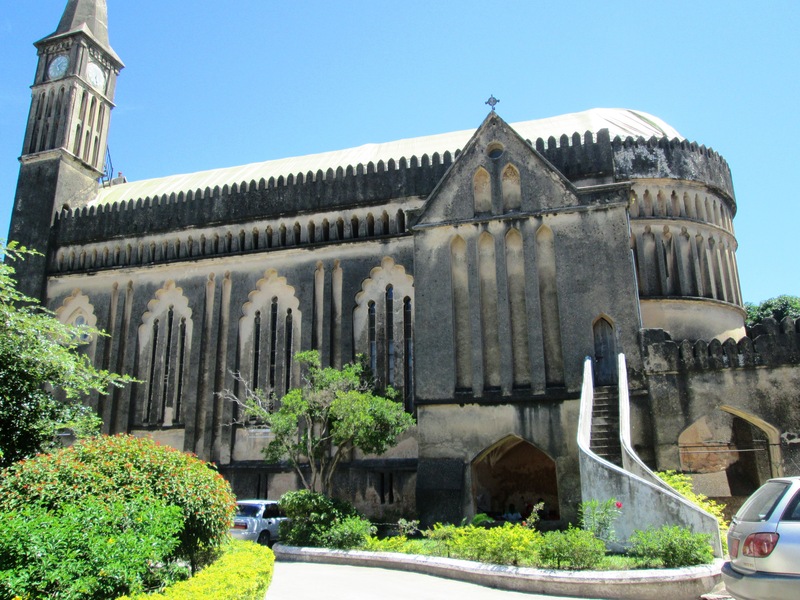 One of the two Christian public buildings in Stone Town and inaugurated in 1898 and designed by a French architect. The Anglican Cathedral has much become a symbol of the end of the slave trade area. The foundation stone was laid down in 1873, the same year that the slave trade was officially abolished. The Anglican Cathedral is mainly build by cement and not lime mortar, and has tried to incorporate some Arabic features in its mainly Gothic design. It is said that Sultan Barghash donated the clock for the tower with the condition that the tower should not exceed the tower at the Beit el-Ajaib. The Musafirkhana or Caravanserai in Kiponda was built to host travellers and visitors exclusively from the Khorja Ismail community. The two storey building had thirty-six individual rooms all facing a spacious open court yard and was completed in 1892. Today’s State House was designed as the British Residency and built in 1903. The building belongs to the group of buildings designed by the British architect Sinclair. The first part of the hospital was built in 1896 and had 6 Asian wards and 9 African. In 1924 an additional wing for Europeans was constructed. After the revolution the hospital was named IV Lenin Hospital for a while. An Arab mansion built on the waterfront and in the 1990s renovated as a hotel. The temple is located just behind the People’s Palace (Sultan’s Palace) imbedded in a residential area and a bit anonymous. The temple is believed to have been built in the 1870s. One of the few minarets belonging to the traditional mosques in Stone Town, built with clear influence from Indian mosques and dated back to 1894. Sultan Barghash decided on the construction of the Chawl building in an attempt to improve revenue to his Government. The ground floor was designed for shops and store area and the first floor as residential quarter. The building was built on the shore of the creek, stretching for about 100 metres from the Central market towards the bridge connecting town with the Ngambo area.